“The legacy version of American FactFinder will no longer be available as of Jan. 20. Nearly all of the data from the older version has now been uploaded to the new American FactFinder website, including previous years of American Community Survey estimates and data from the Economic Census and other business surveys.” See the press release for more info and links to tutorials for the new version as well as announcements of other recent publications. This entry was posted in LIS Staff Interest, Middlebury Community Interest and tagged census, statistics on January 12, 2012 by Brenda Ellis. 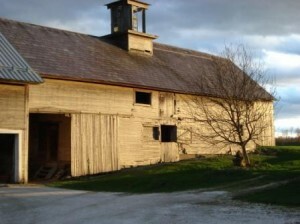 Save Vermont Barns – Help Build an Inventory of Farm Buildings. Join Middlebury College Geography students and other volunteers in a workshop this Saturday to learn how to contribute to the an inventory of farm buildings in Vermont. Then, on October 18-19, participate in the Vermont Barn Census. This Saturday’s workshop is at Judy Watts’ home in Cornwall. Contact Mike Plummer via email at Mike.Plummer@state.vt.us or at (802) 828-1220. This entry was posted in LIS Staff Interest and tagged barn, census, farm, Glen Dale Farm, Sep 26 08, Vermont on September 26, 2008 by Judy Watts.